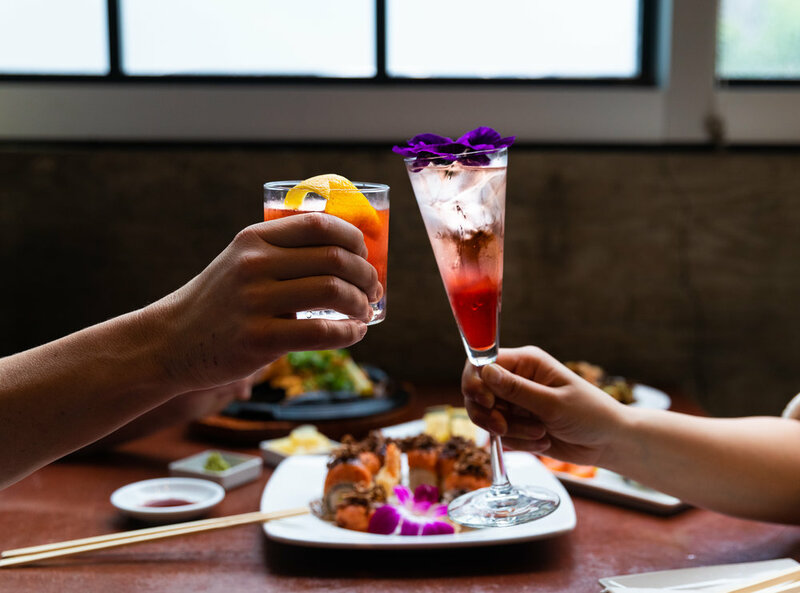 Come celebrate Valentine’s Day with us here at Bella Terra! Here are some fun ideas and ways to show your love to that special someone. 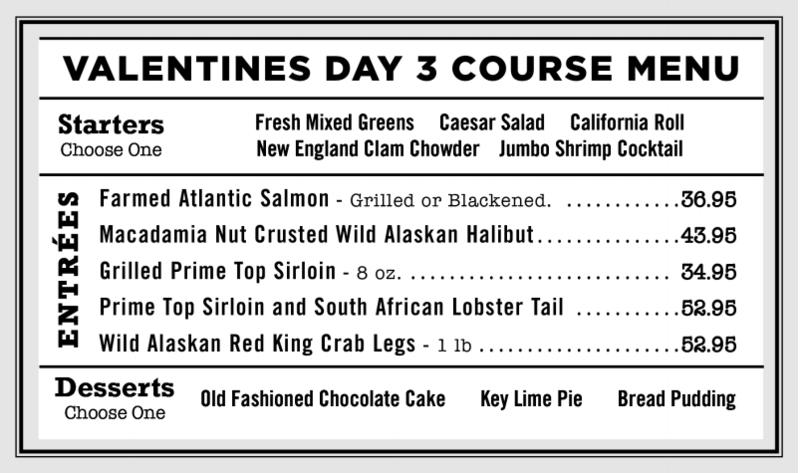 We want to make sure that your Valentine's Day is memorable. So, we created the perfect sushi roll to share. Start the meal with the Valentine's Day rendition of our newest sushi roll, the Red Mask Roll. Except because it is Valentine's Day, the Red Mask Roll will be temporarily known as Put A Ring On It. 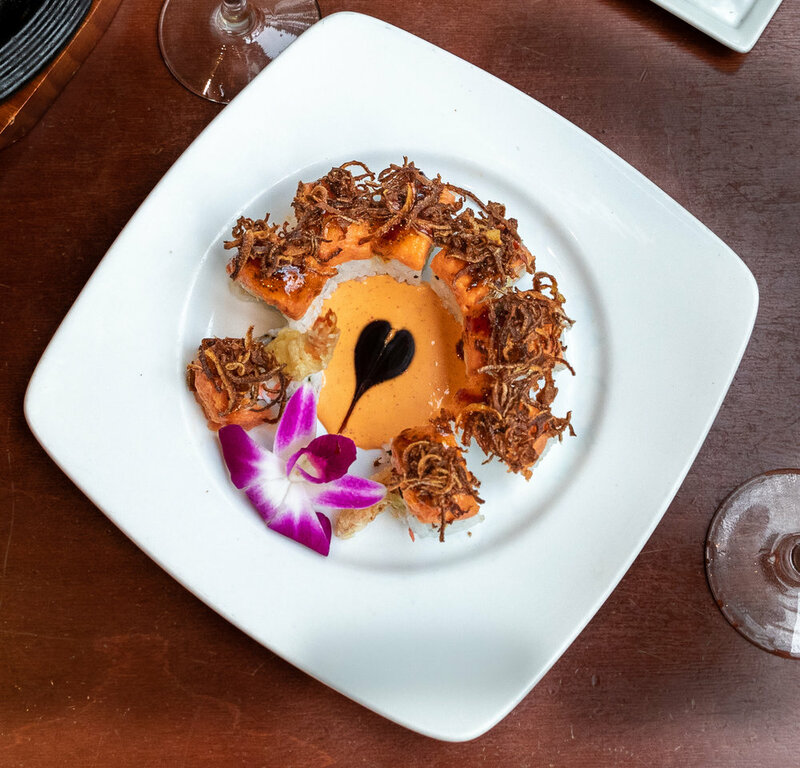 It is a shrimp tempura and avocado roll topped with our house-made spicy tuna and crispy onions, then drizzled with our unagi sauce as well as a honey sriracha sauce. We have also created two libations that will complete your meal- 1881 Old Fashioned and Rosé Currants.